No lines in the water before 7am. Marshal points will have red flags that will go up at 7am to signal fishing starts. 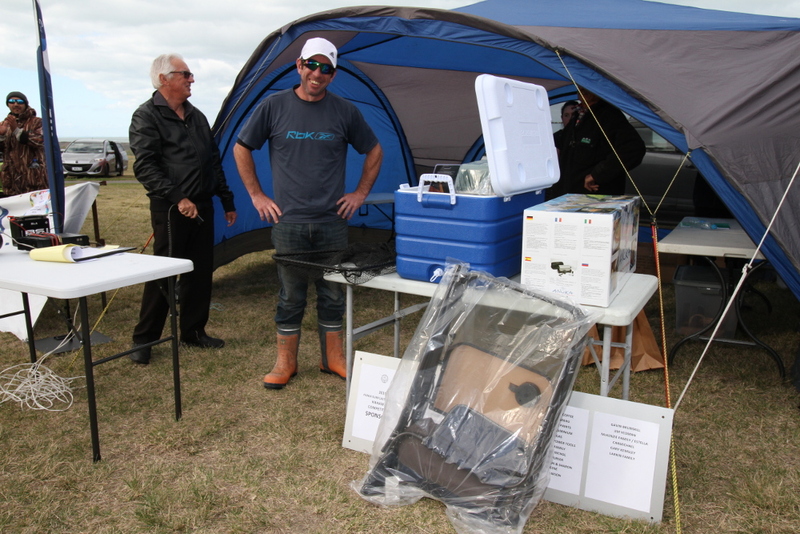 If you catch a weighable kahawai (30cm+) wave down one of the Marshals on quad bikes and he will tag your fish with your name, ticket number and time of capture. He will then take your fish to the HQ for official weigh in. Stop fishing at 2pm, if you are parked in the reserve area please pack up and move your vehicle ASAP to avoid being locked in. 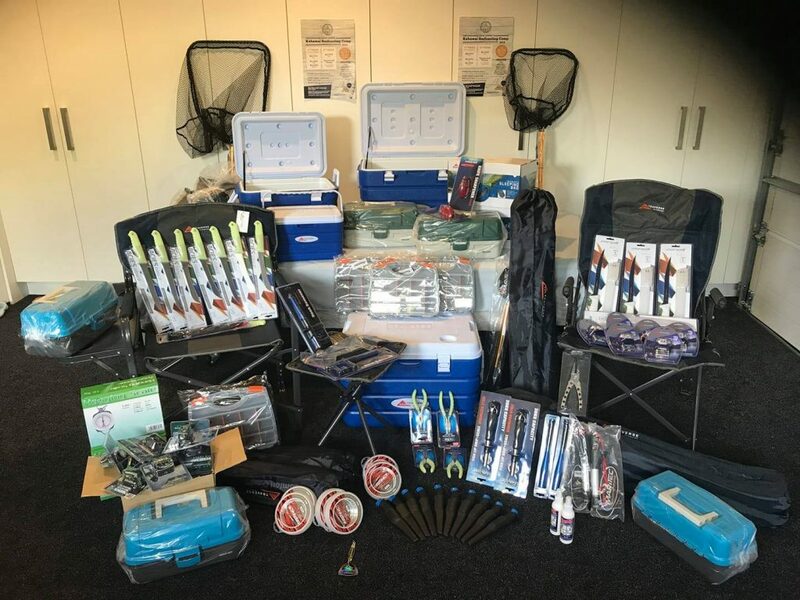 Some of the awesome prizes up for grabs at our Kahawai comp. 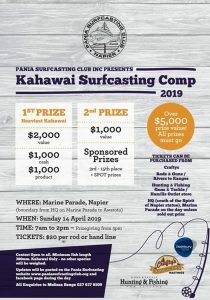 Pop into one of our local fishing stores to get your tickets. They will sell out.